It's time to go on an adventure! 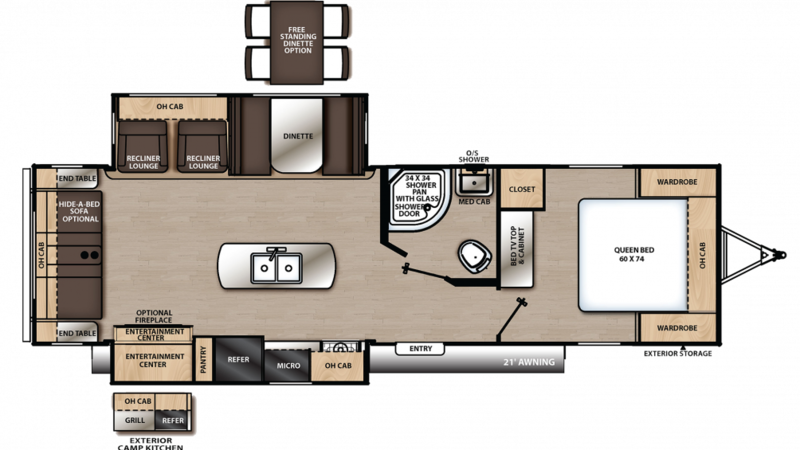 You'll want to stay comfortable throughout your travels, so take the 2020 Coachmen Catalina Legacy Edition 293RLDS with you! This Travel Trailer is a great family RV, and it's available now at All Seasons RV! We're one of the largest RV dealers in Michigan and the Midwest! You can visit our lot at 4701 Airline Rd Muskegon Michigan 49444, or find the right RV for your on our site! 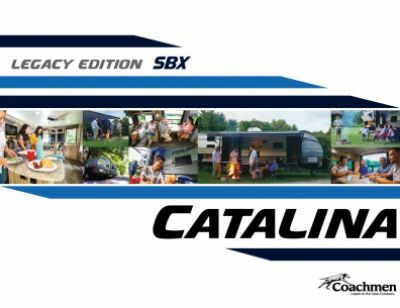 Give us a call at 231-739-5269 to talk with our Catalina Legacy Edition expert about this wonderful model! Shade and comfort are what you can expect to enjoy anytime when you camp with this Catalina Legacy Edition, thanks to its 21' 0" awning that's easy to pull out! You can also go just about anywhere you'd like, as this RV has a hitch weight of 940 lbs. and a GVWR of 9500 lbs. You'll love living in this RV, with its roomy length of 33' 9" and width of 8' 0"! The 2 easy open slides create even more space, so everyone can stretch out in comfort! On those sizzling summer days, the modern 13500 BTU a/c unit will keep everyone cool and comfy; and when temperatures turn cold, you'll stay toasty and warm thanks to the efficient 35000 BTU furnace! You'll sleep extra comfortable in the Queen bed inside the master bedroom. Up to 4 tired campers can sleep well inside this RV! When you're on the road, finding hearty, healthy, and delicious meals can be difficult. Not in this RV! It has a kitchen full of modern cooking appliances, including the 3 burner range cooktop the 7.00 cu. ft. refrigerator, and more! Before you leave home, fill up the 44 gallon freshwater tank so that you'll have plenty of clean water for washing, drinking, cooking, and showering! The outdoor kitchen allows you to grab cold drinks and tasty treats and enjoy them around the campfire without even having to leave the campsite!